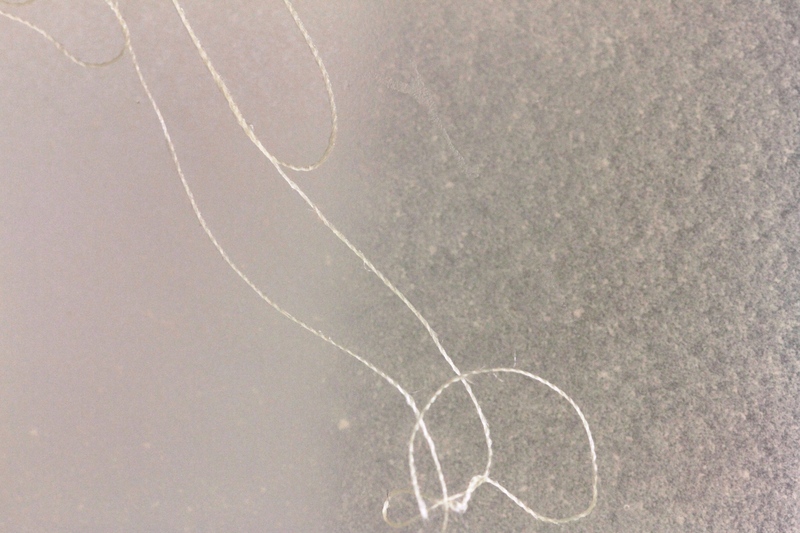 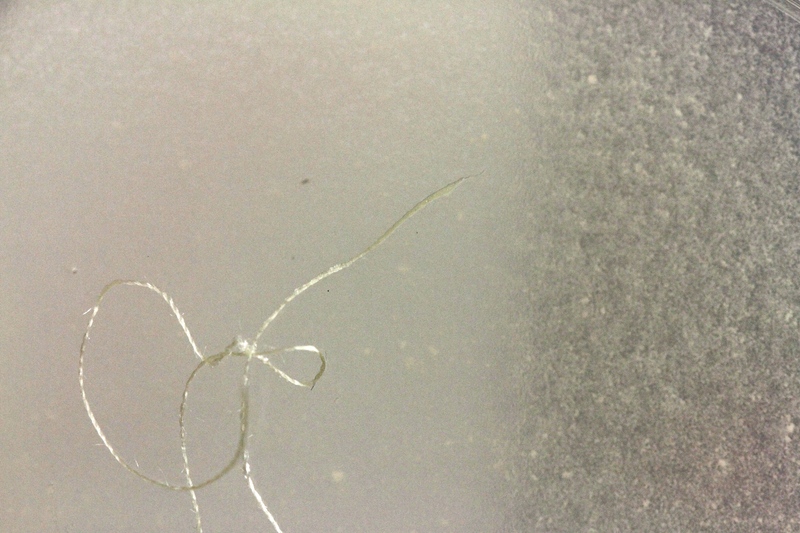 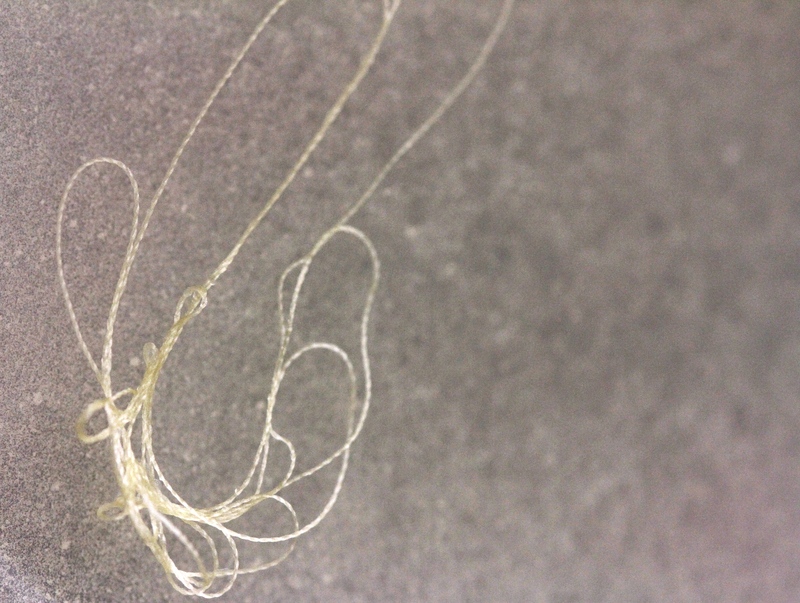 When veiwed in daylight, this silk thread looks rather unremarkable.  When the light are turned off though its true nature is revealed. 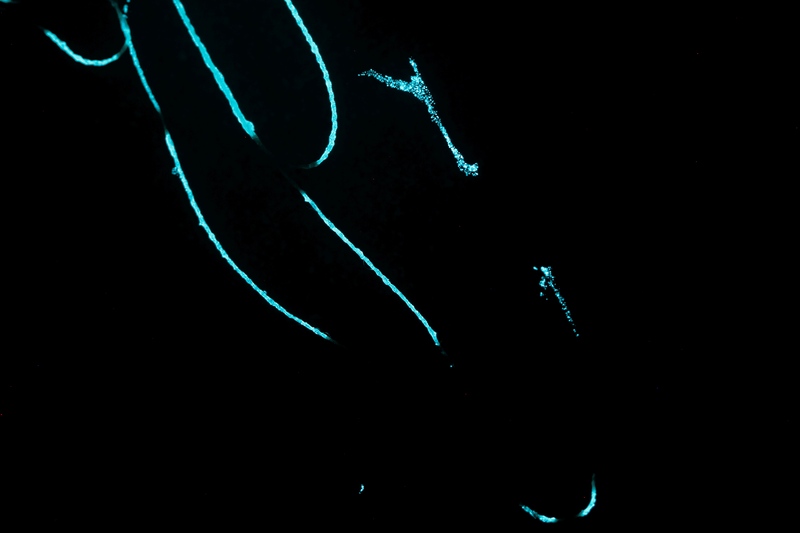 It has been specially infused with bioluminescent bacteria, so that it is both alive and self-illuminating. 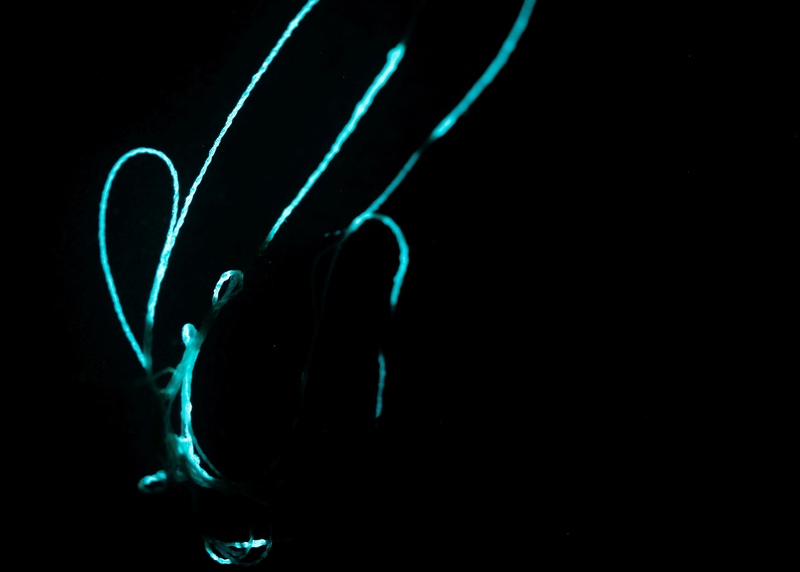 It nature this bioluminescent light is used for communication and as a lure, so maybe some enhanced spider’s webs next.